The next generation of Azure Alerts has arrived (Kiran Madnani) - This is good news, alerts are an important piece of any serious system. Know your Azure Subscription Quota and Usage (Wriju Ghosh) - Because waiting until it breaks is probably not the option you are looking for... It's a good idea to know your quotas first. ﻿A Beginner’s Guide to Testing Blockchain Applications (Kayleigh Oliver) - You have a project that could use blockchain and you are asking yourself what's next? This post is for you. ﻿Building Container Images Securely on Kubernetes (Jessie Frazelle) - Excellent post that digs into some security process with containers. ﻿Entity Framework Core and NHibernate: Understand the Similarities and Differences (Ricardo Peres) - Interesting comparison between two well knows framework at this new age of .Net Core. ﻿MVC vs Razor Pages - A quick comparison (Jon Hilton) - Interesting post that compares two architecture. However, all the unit-test and mocking/ dependency injection were not included...Nevertheless it worth reading f you hare new in .Net Core development. Azure Cosmos DB training webinars - Cosmo DB is gaining in popularity. It's time to boost your skill check this webinar/ on-demand training. ﻿Capturing Power BI queries using DAX Studio (Marco Russo) - Great post that gets us started on ways to find optimization for our Power Bi. Not enough people know about DaxStudio, have a look it's free! ﻿Coming soon to Power BI: Common Data Service for Analytics (Arun Ulag) - Looking forward to trying that as it definitely looks promising. 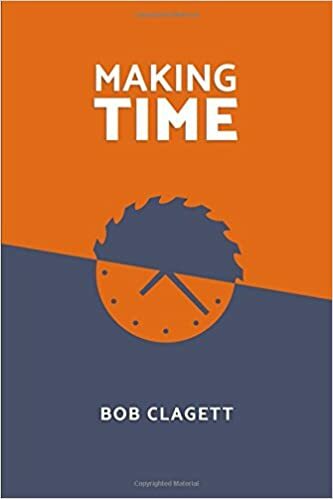 Making Time (Bob Clagett) - I really enjoyed reading that book. I've been watching Bob's YouTube Channel for a while. ANd was happy to ear about his new book. In Making Time, a little bit like in his videos, Bob explains how he build stuff... but this time instead of a furniture or a room, it's a new career/ business. A short book (88 pages) but a lot of fun.